We are now one of the biggest buyers of used catalytic converters in the UK, with market leading prices, no obligation valuations using an accurate, correct grading system. We are able to offer a range of catalytic converter purchasing schemes. We are able to buy by the piece or in bulk. We can provide free, no obligation valuations. We are on hand to answer any questions you may have and through our sampling and de-canning procedures we are able to supply the necessary experience and knowledge to help estimate and hedge the metals contained before cutting and sampling. delivered to us we ensure correct weights, competitive prices, fast payment." Contact us today to find out more or visit our dedictaed website for more information. 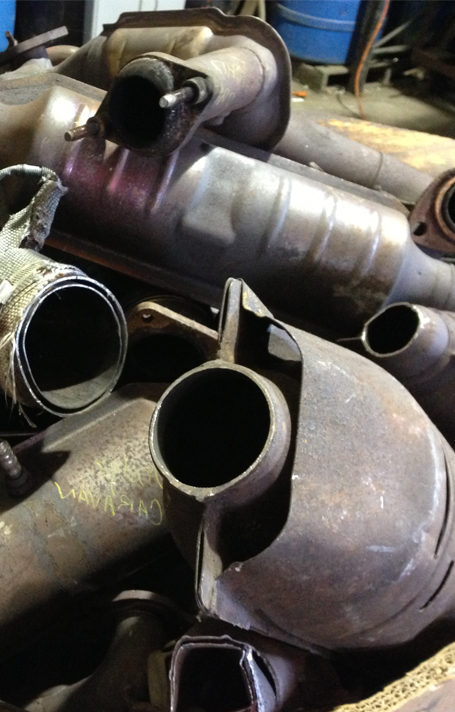 As one of the UK's largest purchasers of catalytic converters we can give you free valuations and the best prices .